Wondering what to gift the runner in your life? 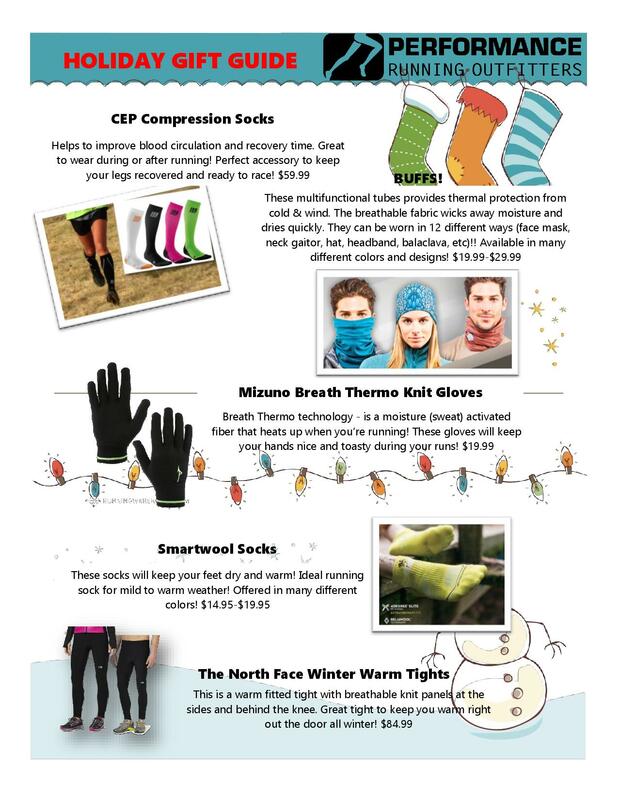 Performance Running Outfitters put together a fabulous gift guide with ideas that are sure to dazzle every runner on your list. You can find all of the items at PRO’s three local shops: Brookfield, Shorewood and Oconomowoc. MKE Runners: What’s on your wish list this holiday season? This entry was posted in Running Resources and tagged Holiday Gift Guide, Performance Running Outfitters, Running Gear. Bookmark the permalink.